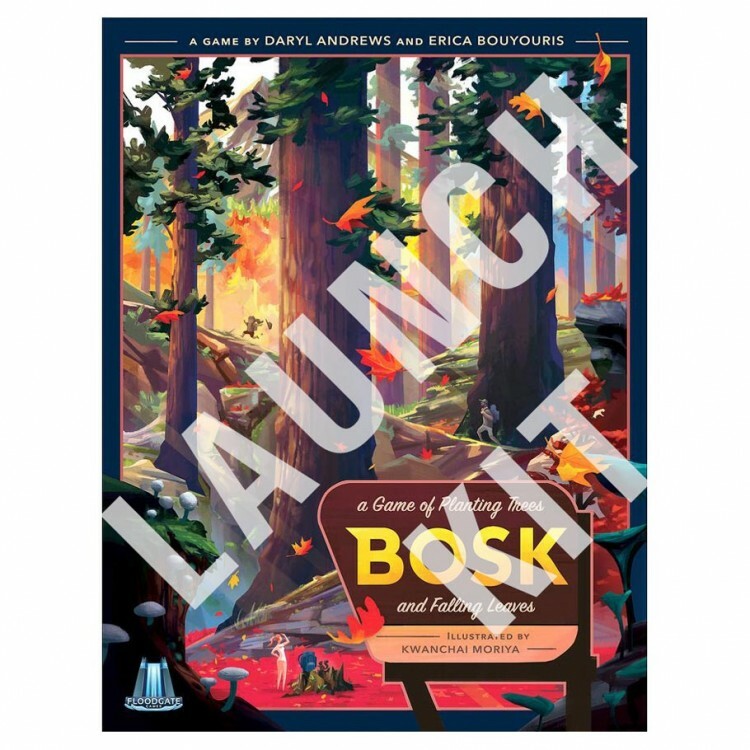 Order 5 copies of Bosk and get one Demo copy free! Over the course of a year, players control a species of tree, thriving in the beautiful terrain of a National Park. When Autumn comes, leaves fall in the ever-changing direction of the wind, covering the ground and other players’ leaves. Points are awarded in Winter for the most coverage of each region in the park! Control the grove and be victorious in Bosk.